Pillows, cushions, bench, chairs…There are so many different types of meditation support that are available on the market. But which one is the best meditation cushion and how can we choose the one that works for us? 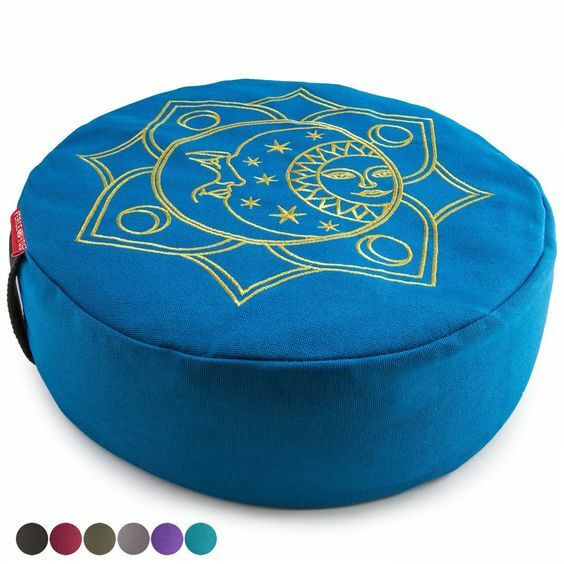 In this post, we are going to talk about the top meditation supports and what to look at when choosing your own meditation cushion. Do you need support for meditation? Whether you are a meditation beginner or an advance meditator, the Alexia meditation seat provides comfort with sufficient support. Ergonomically designed for the perfect lotus position, the knee, hip and back are fully supported. The back is considerably lifted up to keep the chest open. Lighter than buckwheat and firmer than cotton, the neoprene foam filling is firm enough to support the body weight while keeping the whole chair light and portable. We would say that the Alexia meditation seat provides comfort and support for most meditators except for those who prefer kneeling position. Rated 4.8 out of 5 on Amazon, the Peace Yoga Zafu is our top meditation cushion for a reason. Different from some buckweat zafus on the market, this cushion is not too jam on the inside, so it fits the body contour better. 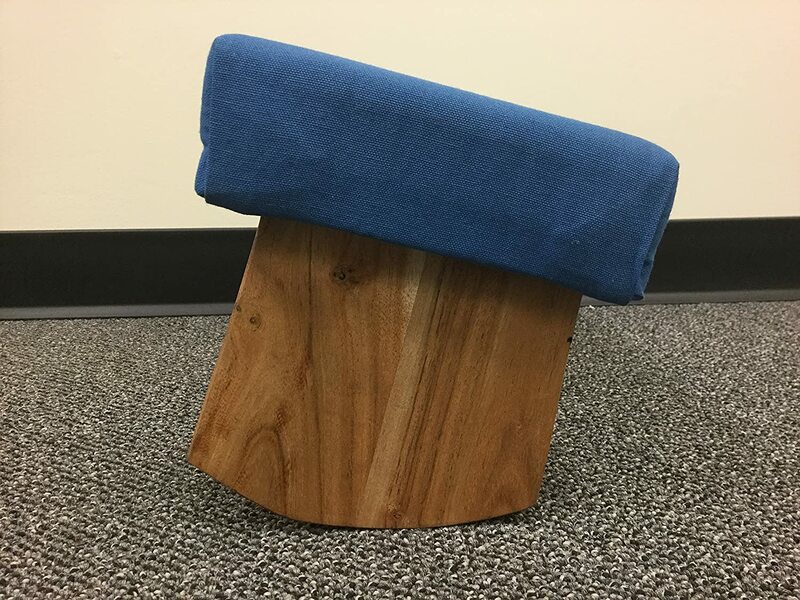 With a perfect height, washable cover and 6 colors to choose from, it is the best budget alternative to our top pick meditation chair. For the price, we think it is the best cushion for beginners. 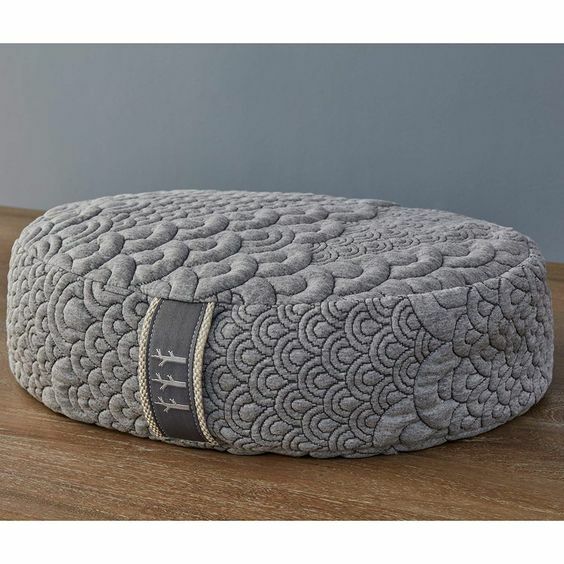 Slightly bigger than our second place meditation pillow, the Brentwood home meditation cushion can work as a zafu or a zabuton. That means you can either sit with both of your legs on the cushion in a lotus position. Or you can put your legs crossed on the floor or on an additional cushion. It’s also designed with beautiful detailed quilted pattern. If you want to have an elegant-looking cushion to match your home decor besides its main function, this pillow will be a good fit. The only problem we have with this pillow is the filling. Unlike our second-place recommendation, some consumers complained that this pillow feels a little bit “stiff” to sit on. But it can be resolved by removing some of the filling to your liking. We are making our decisions based on 3 aspects of a meditation cushion or chair: HEIGHT, FILLING and DURABILITY. The height of the cushion decides whether your spine is effectively elevated. An appropriate elevation will make sure you can breath smoothly even keeping the position for hours. The filling decides whether the cushion or chair is firm enough to support the weight. Too soft, your hip will sink into the pillow thus causes back pain. Too hard, your hip will be taking most of the pressure and will affect the blood circulation of your lower body. Durability is another major element we look into when choosing a meditation pillow. We are looking for support for meditation or yoga that lasts. Thus we pay special attention to reviews that are given by buyers that owned the pillow for 6 months or more. 1. We no longer recommend any zafu and zabuton set because of the fact that most of them tend to be somehow overpriced. If you want extra cushioning for your knee, get one separate zabuton in addition to a zafu pillow. In most cases the total price would be lower than a set. And you’ll have full control on choosing the height you need. 2. Seat Of Your Soul Pillow has tons of positive reviews on Amazon for the prize and the comfort it provides. We are not listing it as one of our top picks for the bug problems reported. And that’s why we prefer foam-filled meditation chairs better than buckwheat cushions. When you first begin to meditate, 5 minutes on your sofa or on your bed would not be a problem. As you progress in your practice, the duration of each meditate session becomes longer. And you will need to be in a perfect posture to keep your mind focused and your breathe stable. That’s when a meditation cushion come in handy. A good meditation pillow keeps your spine aligned and straight. By lifting your pelvis, it’s easier for you stay awake and focused. 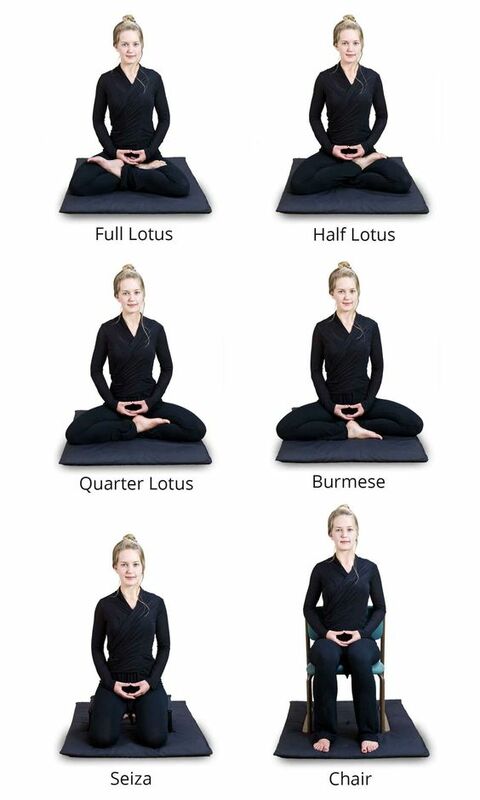 While the lotus is the most preferred meditating posture, some favors a kneeling position(namely “seiza” position). If you are a knee meditator, instead of the traditional pillows, a bench may be more suitable for you. With a meditation bench, your hip is elevated. There is enough space to put your legs underneath the bench thus keep them from going numb. Also, benches are more stable for seiza than cushions so you are less likely to move around during your sessions. Our top-rated meditation bench is handmade with acacia wood, which is usually used in flooring because of its durability. We can’t simply say which one is the best meditation support for you because we all have different needs. But a good cushion should be able to keep you focused, give you comfort and protect you from injuring yourself. It is definitely an worthy investment for those who want to take one step forward in meditation. you are really a good webmaster. The website loading speed is incredible. It seems that you are doing any unique trick. Also, The contents are masterpiece. you’ve done a magnificent job on this topic!